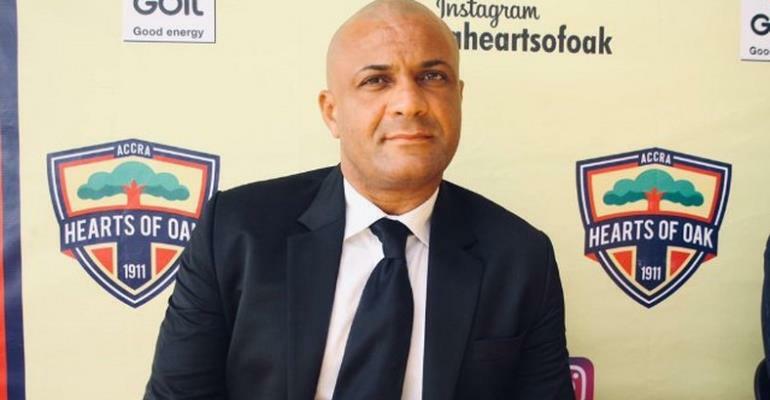 Head Coach for Accra Hearts of Oak, Kim Grant has rallied for support behind Kumasi Asante Kotoko as they go into their crucial final match in the group stage of this year’s CAF Confederations Cup against Zesco United. The Porcupine Warriors are Ghana’s only representative in any of CAF’s club competitions this season and have managed to perform very well so far even at a time when there is no competitive competition going on in the West African Country. Speaking on the team’s performance in the competition, Kim Grant has stressed that he has been impressed with the progress of the Kumasi based side especially the work of head coach CK Akonnor. “I must say they have done pretty well considering they have been put into the competition the last minute and they have had to rebuild their squad in a short space of time and I think CK is doing pretty well with the club”, Kim Grant said. He continued “Their fans have to remember they have had no competitive matches so they have had to do everything in a short space. So they have done so far so well and then they have been representing Ghana as well and so regards of competitiveness, we have to support them”. Kotoko will play as guest to Zambian giants Zesco United on Sunday, March 17 2019. Currently sitting 3rd on the group table with 7 points, a win will see them progress to the knockout stage no matter the result from the other group match between Al Hilal and Nkana Fc. Kick off time for the two matches which will be played simultaneously is at 16:00GMT.